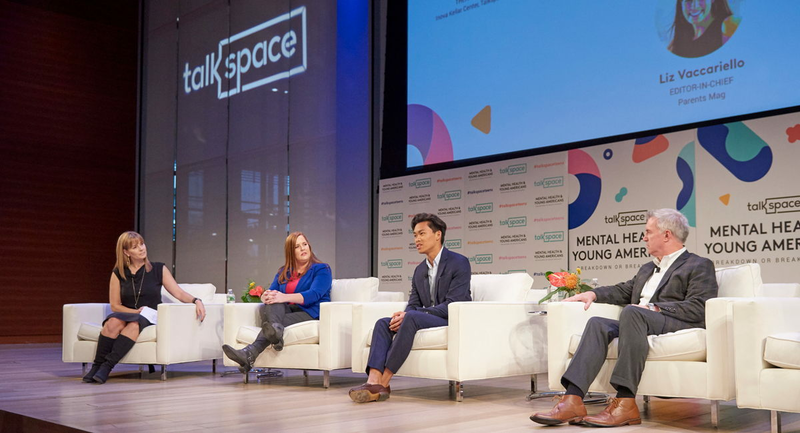 Undergraduate Council representative Michael Nguyen (Case Western Reserve University, 2019) traveled to New York City last month as a guest of the Mental Health & Young Americans conference hosted by Talkspace. Delta Tau Delta began working with Talkspace in 2018 to offer undergraduates convenient and confidential online counseling free of charge for three months. “We talked about how we're so glued to devices. We are the most connected generation, but the loneliest. I know for me and a lot of my peers, it’s easy to come home and want to connect with someone--to talk to someone. You go on your phone, on Instagram or text someone superficially, but deep down that leaves people pretty empty because it's not something as meaningful. You're liking an image or you're just texting someone and sending an emoji,” said Nguyen. Whether that sense of loneliness persists or an individual needs other assistance, Talkspace provides convenience and helps break down the initial stigma of going to health services or going to a therapist. Nguyen was enthusiastic when Talkspace representatives invited him to participate in a panel discussion titled “Ready to Leave Home and Face the World.” He was the only college student on the panel discussing the challenges college students face in navigating mental health struggles. Olympic swimmer Michael Phelps also took the stage sharing his experience where he was so focused on training he grew up in the water. Phelps talked about his challenge learning how to function on land when the Olympic games were over. “I think [Phelps’ experience] resonates with a lot of other people because here we see this incredible masculine and macho guy we all epitomize as the most successful Olympian and he is extremely vulnerable showing this side we don't necessarily see every day and it humanizes him,” said Nguyen. Nguyen has found support in his chapter brothers which he says makes it easier to navigate talking about mental health. “They've been incredibly supportive of the work that I've been doing, not only at this particular conference but on the Undergraduate Council,” said Nguyen. Since participating on the panel, Nguyen has been tapped to write for Thrive Global, a platform focused on enhancing well-being, performance, and purpose, and creating healthier relationships with technology. “I Was Always Normal: A Clashing of Two Mental Health Cultures” is his first article.